Consuming the mushrooms raw or using a whole food mushroom (powdered capsule) product is generally a better alternative if you're reasonably healthy and looking to maintain optimal health, as they help maintain ideal function of your various systems as opposed to imparting a direct effect. Most of the knowledge about mushrooms come from ancient Chinese medicine where mushrooms are regarded as "tonics". Tonics are considered to have non-specific beneficial effects across several systems of your body that do not decline over time. Reishi may help the body defeat cancer in not just one, but four ways. In addition to boosting the immune system, the glucan in reishi helps immune cells bind to tumor cells. Many experts believe that it also actually reduces the number of cancerous cells, making it easier for T-cells and macrophages to rid the body of them. Another substance in reishi, called canthaxanthin, slows down the growth of tumors, according to "Prescription for Dietary Wellness" author Phyllis A. Balch and other experts. As a result of these amazing anti-cancer abilities, laboratory research and traditional medicinal usage of reishi to fight cancer is so positive that the Japanese government officially recognizes Lingzhi/Reihi mushroom as a cancer treatment. 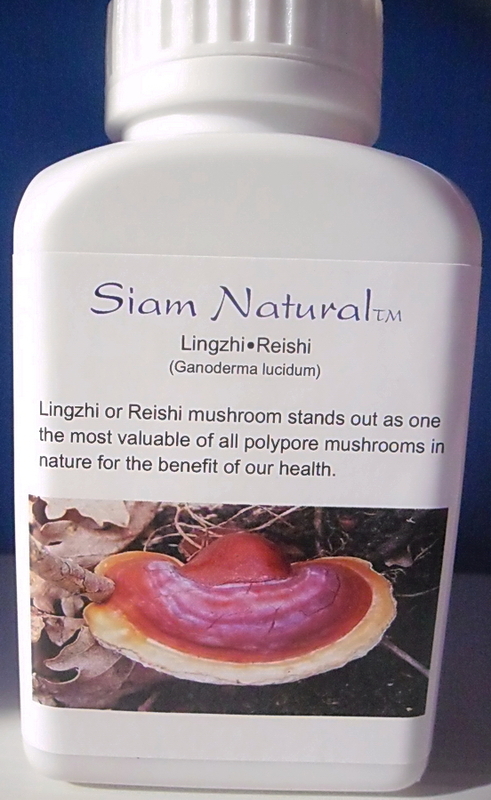 The Lingzhi Reishi mushroom is a supernatural health elixer that has been used as a medicinal mushroom in traditional Chinese medicine for more than 2,000 years The species, Ganoderma lucidum is a medicinal mushroom that stands out as one the most valuable of all polypore mushrooms in nature for the benefit of our health. 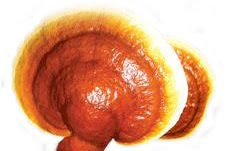 Many naturopaths and doctors prefer organically-grown reishi from pristine environments because they are more pure. Lingzhi Reishi mushroom contains a number of valuable nutrients, including protein, enzymes, B vitamins (especially niacin), and vitamin D2. Increasing vitamin D levels through your diet by consuming dried Lingzhi button mushroom is an effective means of taking supplemental vitamin D2 or D3 for increasing vitamin D levels (25-hydroxyvitamin D).5 .
website: (c) (p) copyright 2019 Bali Lau Ent Media Marketing Group Siam Industries International Co. Ltd.